Sometimes business owners overlook the obvious when deciding on the best marketing course. And that obvious is the interwebs. 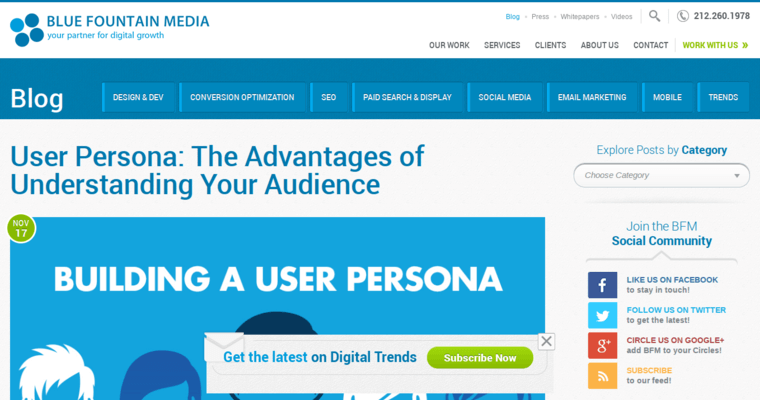 Millions of consumers peruse the internet on a daily basis, sometimes multiple times—which means hundreds of thousands of opportunities to gain new audiences and potential customers. 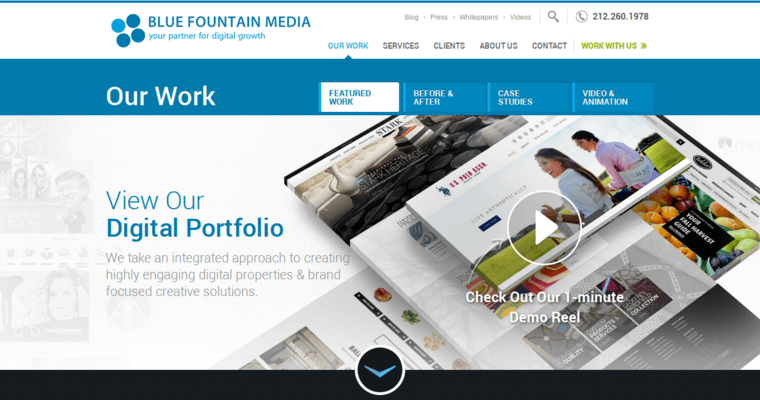 The creatives of Blue Fountain Media show their design dominance on a regular basis, using advanced technologies to soar above the competition and rank above other businesses. This, of course, leads to significant boosts in business success, which is the overall goal. Looking for something to help along your business? Ring these creatives for a thorough consultation. Recognition is the biggest deal in marketing because businesses need their audience to feel connected enough to recognize the brand whenever information or an advertisement appears. 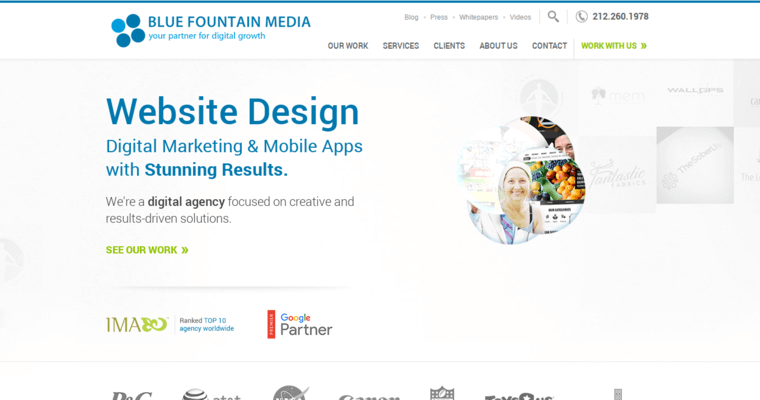 Which is where Blue Fountain Media makes the most impact. These techies offer you recognition, in both online and business capacities, with a well-established consumer marketplace.